One needs to open this up since, in the thumbnail, the bird kind of disappears into the background but, when it enlarges, the details and lovely soft shading from brown to black are gorgeous. He’s fabulous and stands out perfectly from the background! wow. double fav for this. Nice clear details of the dipper. A beautiful bird and image - love this! You find so many pretty birds. Oh wow! I've never even seen one for real! Def fav. Beautiful shot. Fav. How large is a dipper? Have not seen one. 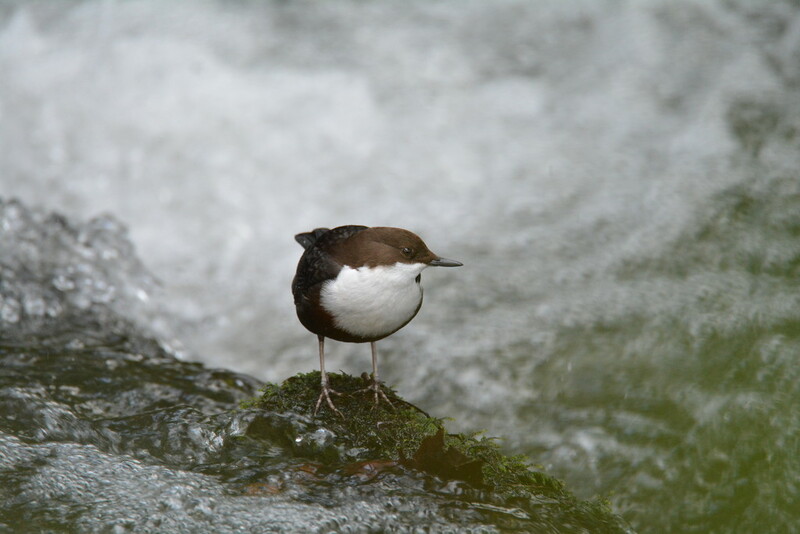 Fabulous capture of this dipper.